Mr. Frey was born Feb. 1, 1921, on a farm near Leonard, N.D. He attended schools in Leonard and enrolled at Moorhead State Teachers College. When World War II began, Mr. Frey joined the U.S. Army Air Corps and graduated from flight training in 1942. He flew B-17s and B-29s and was the aircraft commander on a plane that dropped the last bomb on Japan. Mr. Frey was discharged in 1946 and managed airports that catered to crop spraying and charter flights in Fordville, N.D., and Cando, N.D. In the snowbound years of 1949-1950 and 1950-1951, Mr. Frey was the only available transport for the residents of Cando carrying mail, doctors and veterinarians about. He was recalled to active duty in 1952 in the U.S. Air Force. He served in Vietnam, the Phillippines and Korea where he flew B-47s, KC-97s, B-52s, and C-123s . He retired in 1968 as a Lieutenant Colonel. Frey married Evelyn Benson with whom he had two daughters, Pauline and Beverly. Later he married Magdelena with whom he had a daughter Jennifer and 2 sons, Kenneth and Christopher. He has 8 grandchildren and 3 great-grandchildren. He taught social studies in La Moure, N.D., after his retirement and worked as a substitute teacher in Salem. 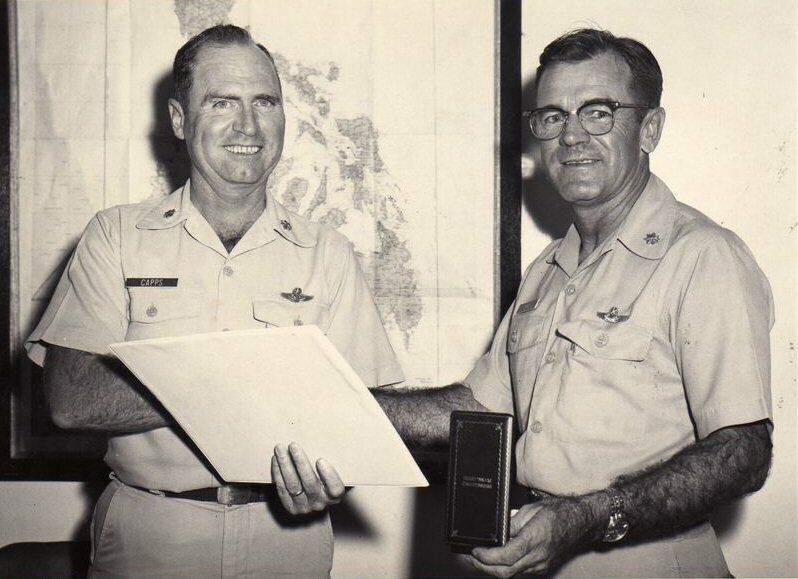 Mr. Frey flew fire patrol in western Oregon, managed the Clark Air Force Base Aero Club and served as director of Seventh-Day Adventist Welfare Service in the North Philippines Union Mission from 1973 to 1975. He had been the director of the food bank at the Adventist Community Center since 1985. Mr. Frey was a deacon in the Salem Seventh-Day Adventist Church, a member of the Veterans of Foreign Wars, the American Legion, The Salem Retired Officer Association and the Air Force Association. He enjoyed chess, tennis and traveling. James W. Frey passed away at his home in Keizer, Oregon with his family present on 24 December 2005. He was 84 yrs old. He was buried at Arlington National Cemetery on 27 Jan. 2006 with full military honors. WWII crewmates Nicholas Livingston, Flight Engineer and Herbert C. Verry, Radio Operator were in attendance at the burial to honor their Airplane Commander. The above are excerpts from the obituary of James W. Frey found on the Keizertimes.com web site, published Dec 30, 2005 and additional information provided by Todd Phillips, son in-law.